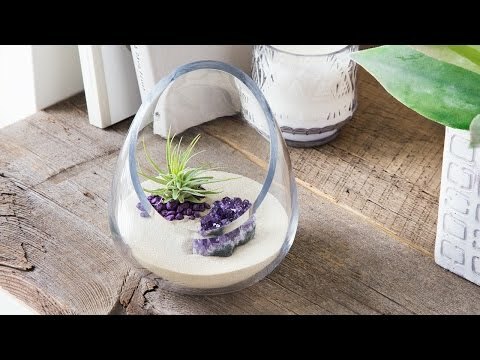 A terrarium is equal parts living art and landscape. 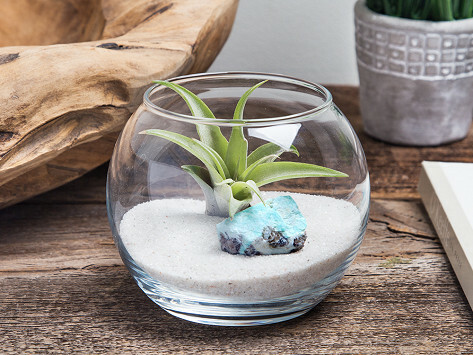 This cut-glass vessel is simple but striking, and it houses a tiny garden of pebbles, a zodiac stone, and an easy-to-care-for air plant. It’s a low-maintenance, attractive way to bring a small dose of green indoors. Pick a crystal unique to the Tibetan zodiac, according to your sign or based on its spiritual properties. Dimensions: 4.5" D x 4"
love these so much that I bought one for daugther in law and son. This was a gift to my daughter for Valentine's Day. She loved it and was very excited to finally have an air plant.